Our school serves the following three Parishes in the Church of England Deanery of Islington. St Mary’s, Upper Street, St Stephen’s, Canonbury and St James’s, Prebend Street. 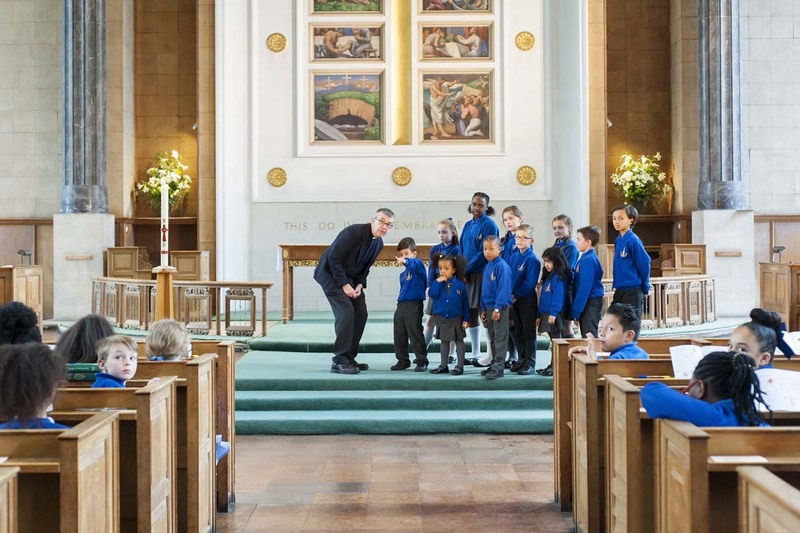 During the year, our children visit the Churches on several occasions, usually to take part celebrating the main Christian festivals, but also as part of our Religious Education topics. The Islington Primary Deanery Leavers service is also held each year at St. Mary’s Church. Church clergy are actively involved in the life of our school whether through leading collective worship, contributing to our teaching or being part of our school’ governing body. Visit the Church websites to learn more about St Mary’s. St Mary’s is one of the Church of England’s most historic parishes. Today we’re a church of different people, a community of all ages, living out our calling to follow Jesus and to serve God in the midst of Islington. Our church is at the heart of Upper Street, between Angel and Highbury Corner and we love our exciting parish. But don’t think that we’re trying to be just another stylish venue. We’re here for people. For all the people who live, work, and enjoy themselves in our neighbourhood, offering them the opportunity to connect with God in a busy world. And now we’re open during the day, seven days a week. Simon Harvey became vicar of St Mary’s in July 2010, he is also part of the school Governing Body. Gloria Naylor joined St Mary’s as Curate, following her ordination on 29 June 2013. She has worked with children as a nursery nurse, primary and secondary school teacher. Tim Broadbent serves St Mary’s Church as Youth and Children’s Minister. He supports St Mary’s school through weekly visits in class and leading Collective Worship sessions. To get the full picture, become part of the story yourself. Contact, connect, discover and make a difference. We are a local Christian community in Islington and part of the Anglican Church. We aim to know God better through Jesus and encounter him in worship, service, love for each other and those around us. Noted for its spire and its ring of bells, St James’ describes itself as a modern catholic parish within the Church of England. We are committed to exploring Christianity in a way which balances genuine faith and intelligent enquiry with the demands of living in London today. Our main service each Sunday morning, the 10am Parish Mass, is rooted in the historic forms and traditions of the western Church as found in Common Worship – with a balance of familiar and more contemporary hymns. We do not believe that being sacred means being solemn.